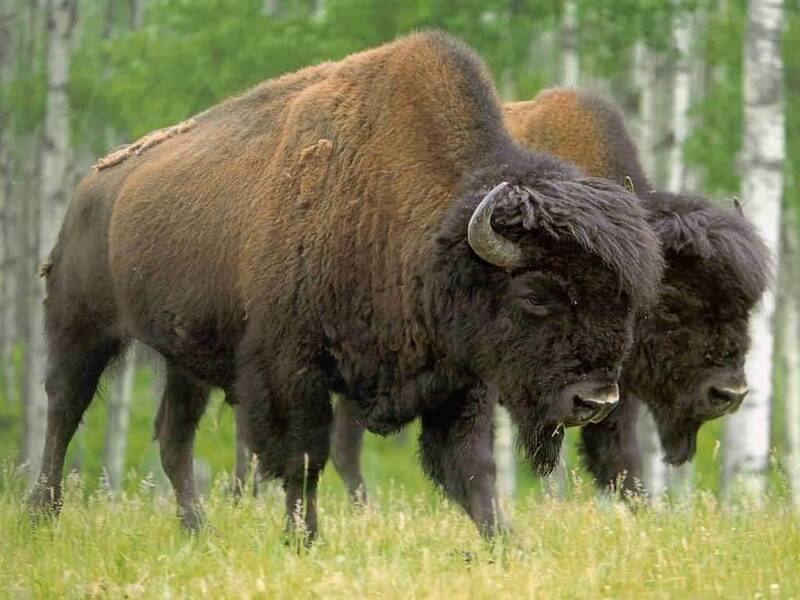 Until the 1870’s five million buffalo roamed from the Concho River to the Pecos River to the Canadian River. Three hundred to five hundred million prairie dogs populated the same range, as well as a million pronghorn. Summer heat urged a northward drift, and winter’s blue northers sent each clan plodding back south. Two aerial phenomena could direct the daily travel of the buffalo. Smoke and clouds are semaphores of change. On the flat Llano, the horizon is fifteen miles away, but a thunderstorm is visible for a hundred miles or more. Within hours of a rainfall, water swollen plant cells awaken from their dormancy and turn green, having escaped the injury of drought stress. In a week, bunchgrasses grow six inches. Sideoats grama, sand dropseed, cane bluestem, windmill grass, and fall witchgrass are the dominant members of the Southern Llano Estacado grassland ecological community. Lightening from the irregular spring thunderstorms would catch the prairie on fire, and the insistent southeast and southwest winds herded the fire for days. Flaring up during windy days and slowing to a smolder on calmer nights, the fires burned and burned for miles, until stopped by the rocky country of the breaks, or a draw with lush green grass that snuffed the flames quiet. For a hundred miles, or two hundred, or even three, the fire rode the will of the winds. Afterward, remnants of winter moisture fed quick growth; within two weeks a blackened prairie became green. The American bison (Bison bison), also commonly known as the American buffalo, is a North American species of bison that once roamed the grasslands of North America in massive herds, became nearly extinct by a combination of commercial hunting and slaughter in the 19th century and introduction of bovine diseases from domestic cattle, and has made a recent resurgence largely restricted to a few national parks and reserves. The Kwerkenuh (an old name the Nemeneh used for themselves, since “Comanche” means “enemy” in Pawnee) were no fools. Buffalo medicine was soon developed -- the art of knowing the very best time to set a fire to get the grass green quickly, magically drawing the buffalo for a successful spring hunt. Magic! Knowing that fire means food, buffalo turn and walk towards thunderstorms climbing fifty thousand feet into the sky, or turn into winds laden with the scent of old and traveled grass smoke. Shamans shaking rattles and singing songs, tossing special herbs into the breeze; it was not superstition, but sophisticated ecological understanding dressed up as a pageant. Buffalo managed the grassland. Ungrazed grass deteriorates, choking itself with litter. The litter provides protective mulch for tall weeds such as Conyza and Sawtooth Daisy. Summertime bloom stalks up to six feet tall shades the grass, weakening it further. Fire and grazing prevent such an alteration of habitat. Or, it could be said that the grassland habitat was created by the acts of fire and grazing. Buffalo defeated hopeful mesquite seedlings advancing from their refuge. Mesquite has a weak crown and is susceptible to fungus. Buffalo brush hogged the mesquite, stomping it, pulverizing the new growth. Fungus and rot organisms are part of a healthy biotic community, flourishing easily in the microclimate of the grass sea’s floor. And prairie dogs did their part, nibbling germinating seeds. Thousands of hooves broke the hardened soil, tilling grass and forb seeds to planting depth, the litter of old stalks provided subtle niches for the seedling’s nourishment. Understanding of the ecological cycles of grass, forbs, and grazing has only just begun in the last quarter century. The Sibley Nature Center is occasionally asked to do a plant survey to identify plants that have poisoned livestock. Were buffalo also susceptible to the same poisons as livestock? Did locoweed (Astragalus mollissimus) cause buffalo to hallucinate, wildly leaping over pebbles and shy at the passage of butterflies? Did shin oak’s (Quercus havardii) new leaves constipate them enough to stunt their growth? Did the young growth of cockleburs (Xanthium stromarium) kill them in an hour? If they ate larkspur (Delphinium carolinum) did they twitch, stagger, and wheeze? Did buffalo drool copiously if purple nightshade (Solanum eleagnifolium) was ingested? Did groundsel (Senecio douglasii) cause them to walk non-stop until dead from exhaustion? Many plants accumulate nitrates, which becomes nitrite in the bloodstream of grazers, turning the blood brown, and stimulating the heart to race alarmingly. Did a buffalo’s heart do so? Grazers have a problem. Grass is mostly cellulose that is difficult to digest. Many grazers have microorganisms in the digestive tract that chemically split cellulose. Grasshoppers and caterpillars do not have bacterial digestion, so their feces are plentiful and bulky. Ungulates eat dirt as soon as they are weaned, thus acquiring the proper bacteria. Rodents and rabbits eat the maternal feces to become properly inoculated, and most eat their own excrement so as to more thoroughly and properly process their food. Grazers usually have similar mouthparts. Ungulates and rodents have a diastema - an opening between the incisors and grinding molars. The diastema provides space for the tongue to move the food as needed. Grazing is relatively inefficient way to digest nutrients. Considerable amounts of food must be eaten. Bison (as well as cattle and deer) are ruminants that regurgitate their food for further mastication. When first swallowed the food goes to the first stomach, the rumen, where cellulose digestion begins. After the cell walls of the grass begin to break down, it is regurgitated and chewed very, very thoroughly. Large grazers are herd animals. Since so much time is needed for grazing and digestion, predators could easily catch lone grazers. Herd grazers develop social structures and sophisticated communication systems. For example, the pronghorn’s white rump hairs represent a physiological development resulting from centuries-long genetic selection. When threatened, the rump hairs are lowered or raised, and the resulting white flash can be seen for a mile or more, instantly communicating to the scattered herd that danger has arrived.